What’s the easiest way to lip-sync in MMD? How do I use the Face and Lips program? Where can I download the Face and Lips program? Adding a lip-sync in MMD can make for a very nice touch to your video. Adding a lip-sync can sometimes be essential! When trying to lip-sync, most people will go the traditional route. 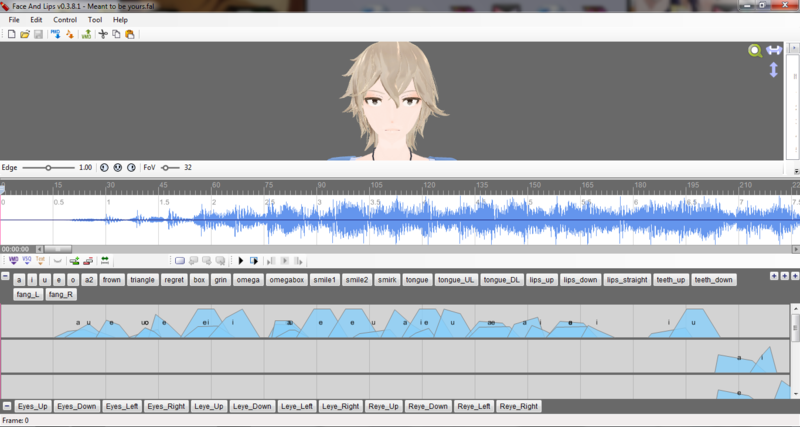 Meaning they adjust the lip facials in MMD with the audio file loaded, probably with “play WAV with frame” checked. Of course, this can be pretty hard and it can take a lot of time. Not to mention in MMD playing the WAV with the frame can sound pretty annoying. 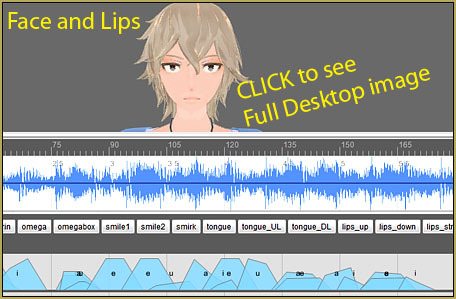 Not too long ago a new program came out to help with lip-syncing in MMD, to help with all facials in fact. It’s called Face and Lips. How do I install Face and Lips? This program, Face and Lips, can be downloaded from the MoggProject homepage at the very top of the page. 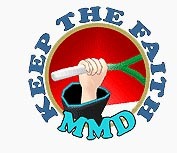 (You will see a “manual” link there that goes to their instructions page.) When you download the program it will come in a zip file. Be sure to create a new file on your desktop or wherever to place the contents of the zip file. The program itself will be an .exe file When you first start the program it will be in Japanese. You can change that by going (H)>(L)>English. How do I use Face and Lips? After that, you’ll need to load the model and audio using the orange and blue arrow buttons. If you are havin’ a hard time finding the buttons look under the word “Control” at the top of the screen. Then you can start to lip-sync. The model’s facials will be shown below the audio file. They are organized into the mouth, eye, brow, and other facials just like in MMD. Then on the bottom there will be a little place for moving the eyes with “Eye_Up”, “Eye_Down”, etc. buttons. You can minimize certain groups by pressing the little “-” button next to it. To use it, you’ll press down on the button and drag it to the “editing area”, at least that’s what I call it. Then you’ll see the facial, it’ll come in a little trapezoid shape. You can drag each point to change how long the facial lasts and how big it is. To give you an idea of what it looks like, Here’s a picture of a lip-sync I’m working on right now. As you can see the blue part is the audio file. The editing area is filled with the different vowels. I hope this can give you a better understanding of how the program works! I’m currently working on animating the song “Meant to be yours” from the musical “Heathers” using maydayfireball‘s model, Kyo from her Zola Project pack. somebody says something, but it doesn’t say what. You don’t “open” a model… you use the LOAD button on the lower left of your screen. Hi, I was wondering how to load my .pmx files into the program? I’ve tried but they won’t show up. Thanks in advance! It has an “unhandled exception.” I have a windows 10 computer, so I can’t use Directx9 that I can figure out. I just tried to load a .pmx model into F&L, and it worked. How did you try to install DirectX 9.0c? There are two possible installs: one (linked by F&L homepage) is a small updater file that analyses your Windows folder and tries to decide which files you lack; this one will probably answer that you don’t need older files (which is not true for MMD purposes). The other one (that our Downloads page links to) is a full 96 MB directx_Jun2010_redist.exe distributive that simply installs itself without asking questions. You need the latter one. Also F&L’s system requirements include MS .NET Frameworks 3.5 or higher and MS Visual C++ 2010 Redistributable (having a higher version but not this one will not suffice). Make sure that you have them installed as well. Hello! I have a slight issue where whenever I load up my model, she turns up solid black in the Face and Lips program… Oddly enough, her entire face isn’t black; part of her hair, the eyes, and half of the sleeve of her outfit is in color while the rest is just a solid black. Is there any solution for this? Could my model be messed up, or is it likely the program? Have you tried to load differnet models into F&L, starting from stock Animasa ones? What happens when you spin/move/zoom it? Hello, I tried another model and it works. The first model I tried that turned all black was perfectly fine in MMD and PMXE, so I couldn’t quite understand the issue with Face and Lips. However, a new model is working now. Then the problem was apparently with your model (quite to be expected, as plenty of various people mess with models, yet the program is the same for everyone). If you still plan to use that model somewhere, though, you’d better check it up, since even though it looks fine in MMD now, the problem still exists and may reveal itself later, when using some particular shader, for example. For starters, you can open the model in PMXE, select “File->PMX Info” command, Google Translate its output into English, and see which entries come out with an error. This one is usually good at exposing bugs not obvious visually, yet important. After reading this, I decided to try using Face & Lips, after previously finding it difficult to get the timing down. It turns out that it is actually much more user-friendly than I thought. I synced the verse and chorus of a song in about 45 minutes, including playing with percentages and figuring out a couple of modifications for certain phonemes, like short u.